Dungog Contemporary are pleased to announce an exhibition of major new works from the studio of Sandro Nocentini. Sandro's work has been described as Cubist / Futurist. An Italian artist working in Sydney, Sandro won the Sir John Sulman Prize for Painting in 2005. This exhibition coincides with "PLASTIQUE" from Catherine Cassidy. 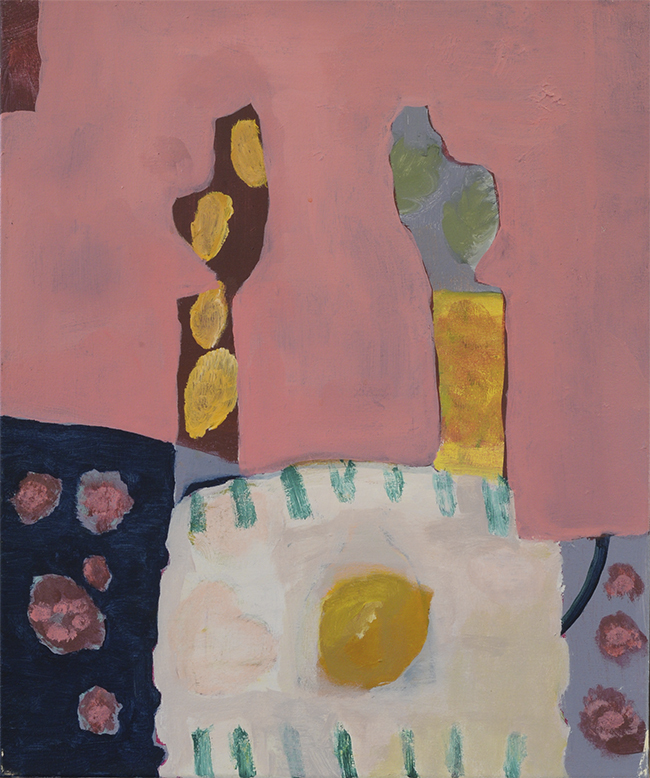 A Sydney based painter, Catherine was one of fifty artists selected worldwide by Art Platform New York City to exhibit at Art Basel Miami in December 2016 and also the New York Art Expo in April 2017, Cassidy has also recently exhibited at Progress Gallery, Paris, France. 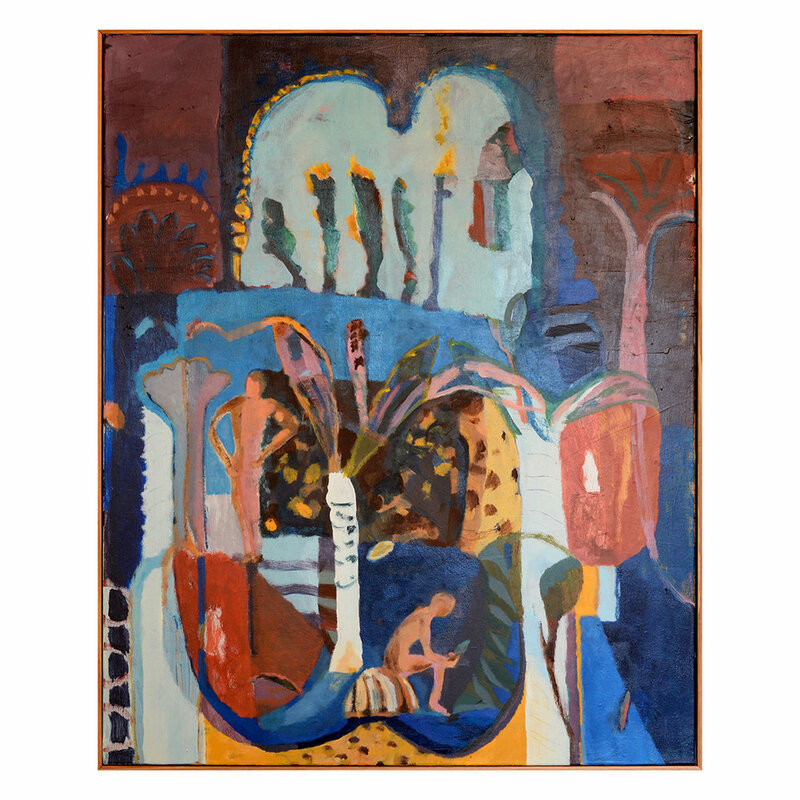 Catherine's paintings are large, colourful and intuitive works informed by her travels into wild places. Both exhibitions will run until Sunday, March 17. Do join us to view works from these two very different mid career Sydney painters, opening drinks from 3pm onwards on Saturday, February 16. Artists catalogues will be available here on our website from Thursday 14th, February. Our next two shows both opening on June 30th will be the the first time we present our new exhibition program format. This enables us to hang twelve solo shows a year, whilst having the exhibitions up for almost two months at a time. It is also only the second time we have had a collaboration with a Sydney gallery, something we are aiming to do more of in bringing the best emerging Sydney artists and showing them in regional NSW. Ken O'Regan is a mid-career Australian artist from Newcastle who has developed a sculptural practice combining found object assemblage with an environmentally conscious theme. Well known in the Hunter Valley region through regular and critically successful exhibitions, community art projects, public artworks and education projects. His practice has involved producing large scale installations that visually echo museums. Ken O'Regan's work is held in the collections of the Newcastle Art Gallery, Wallsend District Library, The University of Newcastle and in many important private collections. We are thrilled to be showing Ken's work in the larger of our two rooms, which lends itself to installation based exhibitions. Ondine Seabrook is an emerging artist from Sydney. A painter who graduated from The National Art School in 2017, Ondine Seabrook is represented by China Heights Gallery in Surry Hills. Describing her practice as "process driven" Ondine Seabrook's paintings swing between being a response to place and a reaction to materials. Her work is typically inspired by the Australian landscape, though with her last major experience being a trip through the American western desert, the works on exhibition show clusters of land features common to that area. In a more abstract aesthetic sense Seabrook's new works are concerned with composition, laying and shapes. Ondine's work will be hanging in the smaller light filled front gallery which complements paintings so well.